My interest in the LTM Garratt awakened back in 1974. 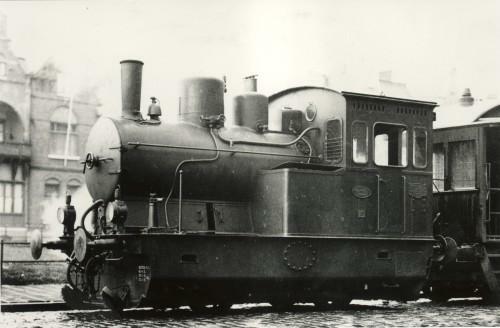 In the consecutive search for more information about this particular locomotive, I also acquired more knowledge about the tramway line they ran on and about the other steam locomotives of the LTM. Among them was a group of Hanomag built tramway locomotives that immediately appealed to me. They carried the numbers 12-30 and 31-35. Sometimes I am inclined to think that many builders made locos ugly on purpose to suggest they preferred functionality over appearance. The Hanomags however show a well balanced design and a pleasing look. Their rounded curves and uncluttered appearance show the designer's appreciation of appearance being more than sheer functionality. Later I found that the basic design of this group was lined out by Verhoop and that several tramway componies operated similar lcomotives. In April 2012 I was invited to help fire at the Stoomtram Hoorn Medemblik. Much to my delight no 26 Ir P. Bosboom, a locomotive based on a combination of LTM 26 (frame, cab, drive) and 21 (boiler), was the engine of duty and this gave a new impulse to my love affair with this type. I knew that Philotrain had produced a kit in 1982 and that Molekamp offered one for sale on the Houten trade show, and that is had been lying idly for quite some time. So at long last, on December 14 2013, I decided to buy it. The kit is so small for €175 that is is almost a disappointment when you open the box. But think again. There is hardly any kit of a Dutch tramway locomotive much cheaper than this. 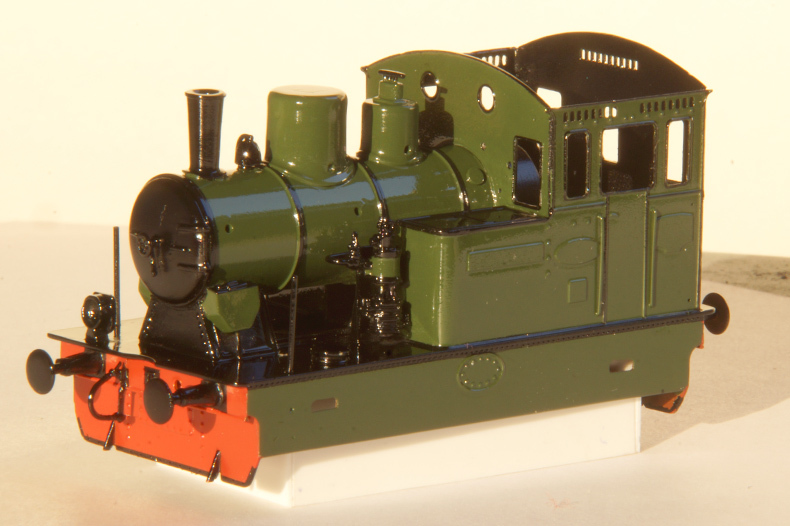 Recently I was offered a 3D printed box type steam locomotive (Back & Rueb) for somewhat over €100, without a drive. And it wasn't even etched! And this kit is complete with drive and all the lost wax brass parts. No it is not cheap but this quality does not come any cheaper.